I had a conversation the other day with a good friend who had a hard time seeing eye to eye with me about this tragic government shutdown. I say tragic because during this time, those who are living paycheck to paycheck and those in need of medical care, families trying to pay their rent or mortgage, those who are unsure whether they can pay this month’s heating bill or pay their cat’s vet bill are struggling to get by only because our politicians are unable to relate to the families that they are hurting . For anyone just trying to put food on the table, the shutdown can only make life harder. Appreciating those calm moments of the day, a good laugh, or even a brief nap, may seem simple daily occurrences that are the good stuff of life that we too often take for granted. Too often, we are waiting for something big to land in our lap, but while we are waiting, we miss some of the crunchy goodness. Simple pleasures are often the best. Playing with your dog in the first snowfall of the season or watching a seagull soar are just two of the magical moments to savor, treasure, and truly appreciate. These are moments that cost nothing and are beyond any kind of currency. There is a great deal of kindness out there out but much of it gets silenced by louder voices. Many of the soft voices may not get heard, at first, but in time, with commitment, can lead positive change. Loud and noisy can only do so much, but one soft voice only needs to spark one other person to go viral. When the mission is right, everything can fall into place. Kindness isn’t in short supply, it just may need to be cultivated. Hardships, shocks, tragedies, disasters, illness, deaths, and life tests will be with the human race as long as we occupy the planet Earth. The question for all of us is how often do you take the time to recognize those not so little moments of your life? It’s so easy to get caught up in daily life and forget to be grateful for those simple and little things. Practice gratitude today! Always Be on the Lookout! Keep an open mind and always look for something new to your toolbox! Thankfulness and The Holidays—Stay Tuned! As much as Parkinson’s disease tests my day, it does not define my existence. My illness is a part of me, much like my hair color and my bushy eyebrows. It is always with me, but I do not embrace it– nor do I curse it—it just is. The luxury of time and slow mild progression, if any, has allowed me to use Parkinson’s as a platform. For over ten years, the three-hundred plus blog posts in my archive of blog posts on www.asoftvoice.com continues to be a resource for information seekers. What was once a straight-forward blog devoted to Parkinson’s disease encouragement suddenly evolved into a somewhat popular published book in 2012, A Soft Voice in a Noisy World: A Guide to Dealing and Healing with Parkinson’s Disease, became a reality. For a self-published non-fiction book by a first-time author, the book was surprisingly well-received and graciously promoted by members of the Parkinson’s community. 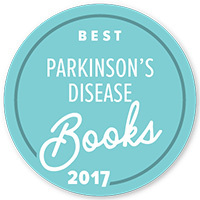 In 2016, our workbook, Dealing and Healing with Parkinson’s Disease and Other Health Conditions was released for anyone looking to make changes in their life (with or without Parkinson’s disease). I would be remiss, incomplete, and a narcissist, if I failed to bring attention to the woman behind me and the driving inspiration that keeps me in some semblance of alignment. My wife, life-partner, carepartner, best friend, soul mate, and confidante, Angela made both books a priority and brought them to life. Her fortitude, dedication, and patience throughout the book editing process as well as our twenty-two years of marriage is a tribute to her angelic nature and ebullient spirit. She is the gift of a life-time! Michael J. Fox claims to be a lucky man, but I am far luckier. The encouragement, love, and reassurance from the Parkinson’s community is a vital incentive and pillar to my strength and motivation to the continuation of my blog posts, lectures, future books, and upcoming surprises to come in the coming weeks, and the new year. Many thanks to my loyal readers, the newly joined and those who have followed me for all these years! I appreciate you reading and sharing my words. Farewell and Thanks to Stan Lee! Heroes come in and out of our lives, often unrecognized and frequently under appreciated. On Monday, it struck me just how important heroes are and the amazing power that comes in looking up to a higher standard. Heroes make us better people. They give us something to aspire to and to be. Heroes inspire us to be more and to achieve more than we might, without them. I was so struck with shock and sadness to learn of the death of Marvel Comics’ founder and genius, Stan Lee. His biography is almost as amazing as the prolific cadre of characters that he brought to life. There is no repaying the numerous gifts that he has given us, as well as the hours and hours of pleasure, excitement, and joy. As a lover of anything and everything Spider-Man, I would religiously watch those cartoons every weekday at 3: 00.PM, after school. Spider-Man didn’t ask to be given his special abilities, they were thrust upon him and he made the most of what he could do with his unique gifts. Those of us who have Parkinson’s are in a not so different place, in that having this illness makes one hone, uncover, and expand our own powers. We didn’t ask for Parkinson’s disease to come in to our world, but just like Peter Parker, we incorporate those dramatic alterations and deal with them to the best of our abilities. I have seen Parkinson’s bring out the best in many people. This illness, as awful as it is, can reveal sides of people that you’ve never seen before. From creativity, to artistic ability, to writing or other revealing abilities, sometimes, out of hardship comes new talents and new strengths. I didn’t know early in my life that I was going to write books and blogs on Parkinson’s disease. 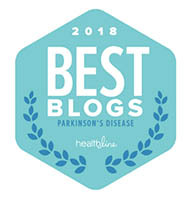 It was Parkinson’s disease that caused me to share my journey of over thirty years with those who may be wondering how to navigate the terrain that I have already walked on. Like, Peter Parker, I have learned and adapted. Heroes keep us upright and moving forward. They remind us that there is still good in the world, when we need it most. Stan Lee’s iconic heroes will most likely never be duplicated, but thankfully, his gifts of brilliance will live on and on. Today, of all days is the perfect time to discuss the subject of change. Today, in the United States, millions of voters will have the opportunity to let their voices be heard with a single vote to impact their government. Millions of dollars will have been spent in campaign advertising to insult their opponent, praise or question the current or past administration, or just be terribly annoying, until the next election. I, for one, cannot wait to see these divisive, bitter, mudslinging, name-calling, unbecoming, childish, messages turn into vapor and return to the barrage of those amusing pharmaceutical ads that we all enjoy at breakfast and dinner time. If just a small percentage of this political advertising bounty were used to inform the public about the needs of the Parkinson’s world, we could educate the planet on identifying, treating, and caring for patients far earlier in their treatment and improving their care for a disease that has no cure. What could be a more noble use of funds than educating the masses about an illness that is so misunderstood and so poorly explored publicly? Parkinson’s disease is the second most common neurological disorder in America with an estimated 6 million cases worldwide and approximately 1-1.5 million people in the United States. Even these numbers are suspect for lack of updating and availability to necessary data for making better estimates. For as far as we have come over the 52 years of my life and the 30 years that I have lived with Parkinson’s disease, I see a need for a similar buzz for change, much like the excitement that is in the air on this election day and eve.